The Joy Ride is a full soft deck stand up paddle board designed with stability and fun in mind. 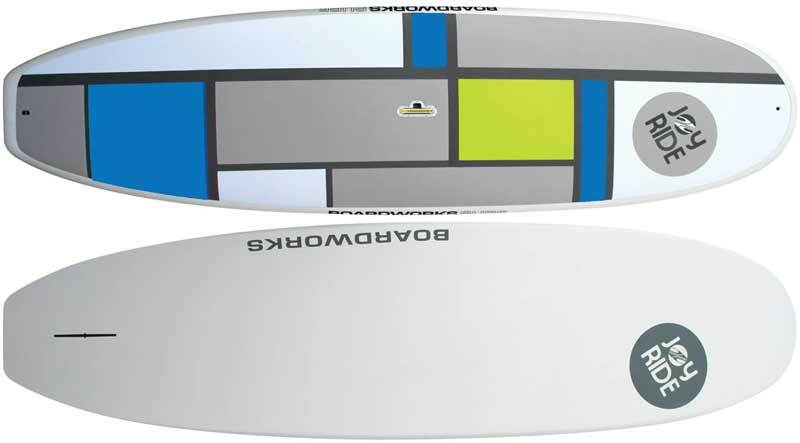 At 33-34″ wide, with flat rockers and thick foils, this board is sure to please the paddler looking for a stable platform, perfect for beginners transitioning through to intermediate levels. The Joy Rides are also shorter respectively, making it easy to maneuver, transport, and store. The Joy Ride is also really fun in small mushy surf. Be it on a lake, river, or in the ocean, these boards will to put the Joy in your Ride! DIMENSIONS: 9'11" x 33" x 4 3/4"